Thank you for another job well done. Your ladies are magicians! My house sparkles...and that is not easy! See you again soon. Wow!!! Your girls did a super job & they worked real hard! My house was a disaster & is now sparkling. Thank you so much. I love your girls!!! They r the best! You have no idea how comforting it is to know that when I come home from dealing w some pretty serious life issues, that the house being clean is done to perfection! Thx so much! Hi I just wanna say the women that cleaned our home yesterday did a fantastic job. they can clean our house any day! I really like this team of 2 ladies cleaning my house. Do you think you can give me the same two people for my weekly cleanings? Thank you. The ladies have completed the job. I just wanted to let you know that I am very happy with their work! I will be sure to call you for my next cleaning need! They were courteous, cheerful and efficient. Thanks again. The ladies were great! I will arrange something soon and if possible would love them. The two woman did an excellent job cleaning the apartment. Please thank them for me. I left the apartment and they were gone by the time I got back. The ladies did an amazing job again! can they continue to come ever week? the next time would be 4/16. Thank you!!! They ladies that came today dd such a fantastic job. My house is cleaner than it has ever been. Also, the person who came to our home on February 26th did an amazing job. We are very happy with how our home looked after she left. If possible, we would like to have her again at our next cleaning. Thanks. I wanted to thank you for a great job that was done yesterday. You staff was very professional and did a wonderful job. Thank you for the cleaning service last Thursday. I really liked the girls who clean our apartment - they did an excellent job. I wanted to thank you for an amazing job today. We will definitely use and recommend your services in the future. I just wanted to follow up from yesterday's service. Both my boyfriend and I are SO PLEASED! He got home before me and I asked him how things looked and he texted me back with just: "Magical!" Hahah! We were so impressed with the work you crew has done. I wanted to tell you that Ana just left and she was fabulous. She was so thorough and nice. She was also so respectful of what we wanted done and what we didn't want touch. I'm excited to work with you in the future. We want monthly service, so I'll contact you at the end of the month to schedule for December. What a wonderful treat to come home to a clean house! I'm sure the dogs were barking, but did the girls say they were otherwise okay? If so, in two weeks they can come on a day that I'm at work which should be much more convenient for both of us! Thanks! Just wanted to let you know what a wonderful job Margaret (I am pretty sure that is her name) did yesterday morning - she's just fantastic! I remember when she was here in May how great she was and yesterday I was so excited to see her when I opened the door. Please pass this message along to let her know how pleased we are and to thank her for a job well-done. As you know, we are always pleased with your services, but Margaret deserves special recognition and praise. I hope to see her again real soon! And we'll see your team again next month. :) Thanks again for everything, Margaret! I just want to let you know that the whole situation was handled quickly after I contacted you. The lady managed to finish by 11:30 instead of 12 and still did a fantastic job. Thanks for making sure you got in touch with everyone after I emailed you to ensure I was accomodated. Enjoy the rest of your trip! I just wanted to say thank you so much for the wonderful job yesterday. It was the most amazing feeling to come home from work and have my house look so beautiful. I would like to schedule regular visits for every other week. Can we keep it on Wednesdays? Again i can't thank you enough. My friend Rose recommended you. She lives in the Cambridge Heights in Nutley. She said you cleaned her house yesterday and you did a great job! I also live in Nutley. I think I would like my house cleaned every other week. Thank you!! I just wanted to express how happy I am with your service. The 2 women sent here were not only kind but very thorough and did a better job than any cleanign service my friends ever had. They were constantly working, did everything your website said they would do for housework cleaning. I am giving a high recommendation to my friends and family and I will also call you again. I just wanted to thank you for sending us Dominique and Anna last Friday -- they did a great job. We hope Dominique and Anna can come back again -- they can come at any time, just let us know approximately when. Thank you again! Today's cleaning was amazing!! whoever came did an incredible job!! I am really happy!!! Thanks again!!! Great job! I was hoping that you could tell her that she doesn`t have to put away the clothes. She can just leave them in the master bedroom. Thanks so much for the work your crew did on yesterday. Their service was excellent! I will definitely use you again for future projects. Your husband is going to send me over a quote for painting and repairing items in the house. Thanks! We just wanted to let you know what a wonderful job the woman who came to us on Saturday did - and she was very nice, just like all your girls. :) She left before I could ask her name, but I haven't met her before. We would welcome her back again - hopefully real soon! Thanks again for another job well done. I just wanted to thank you for sending such a hard worker to clean our house. I was quite impressed with her work! if anyone i know needs a cleaning service, i will be able to recommend yours. :) Have a great day. The girls did a fine job last friday I am very pleased and I will certainly recommend your cleaning service. Could we be on a monthly schedule for the time being. I only have one Friday a month that I am not on Chemo. The next date would be March 19, 2010. Thank you. Thank you for blessing me with your services. The ladies did a great job and you have no idea how much I appreciate it and how much it meant to me, especially since I have to try to sell my house due to my medical bills and I can't go up and down the stairs. However, I will make sure to recommend you to anyone that I know that does hire services. Thanks so much. Many blessings back to you. The ladies you sent to me did a wonderful job. please thank them for me. And thank you for being so flexible. Sorry to put you at such an inconvenience. I couldn't be happier with the cleaning services I have received. Currently I am benefiting from your participation in "Cleaning for a reason" and want everyone to know how much I appreciate the quality of your service and the reliability of your staff. You have truly helped me through this difficult time. I would like to not only thank you, but also, compliment you for a job well done, in fact very, very well done! The painting of the Child Care Center main room, Miss Kathy's office, and sleep room was professionally done. Your choice of color of paint was the perfect compliment to the yellow walls on the other side of the main room. I am also very pleased with the rug shampooing and the scrubbing and waxing of the floors. Indeed, I compliment you for your professionalism and thank you for your excellent work. God Bless You! 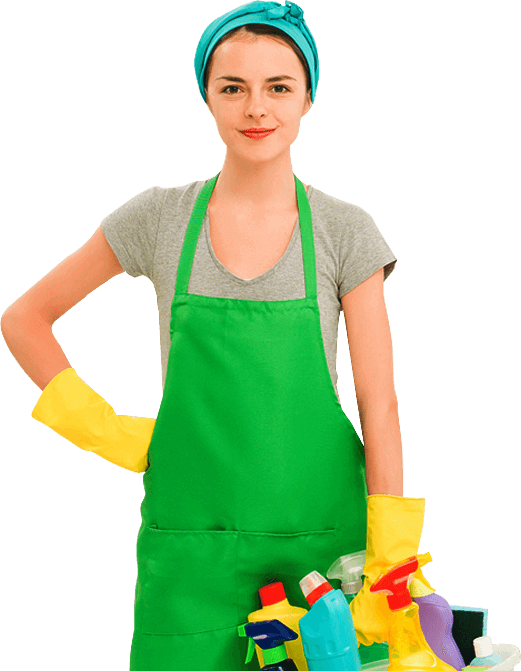 NJ Clean Maid Service is responsible for the everyday cleaning of our restaurant and bar. They work seven days a week and are very responsible. The job is always above and beyond satisfaction. They are trust worthy and always on time. I would highly recommend them. NJ Clean Maid Service has been responsible for maintaining our facility for the last two years. We have been very pleased with their ability to keep our facility clean, no matter how much of a mess they are faced with. We trust them implicitly. NJ Clean Maid Service has been cleaning both the center and my home for the past nine months. I have been very satisfied with the quality of their service as well as their punctuality. Marlena is very accommodating to special requests, changes, etc. Please do not hesitate to contact me if you have any questions about NJ Clean Maid Service. Hi, we used your service last week, when we moved out of our home. The crew you sent was terrific. We will be calling you soon to arrange for regular service for our new home. Thanks again. I've never met such great people. The girls that were in my home did a great job. Thank you for your services. I've told all my friends about your company. Thank you for the terrific job you did when we moved in. It saved us so much time and the house looks wonderful. This is Eleanor from Montclair and I just wanted to stop by and say hello! I've been using your services for over two years now. You do a great job - every week! Looking forward to many more years. Thank you. I've been using NJ Clean Maid Service ever since they were starting out a few years ago and hiring just two employees. They have always done terrific job and their customer service practices are always satisfactory. NJ Clean Maid Service has been providing their cleaning services for both, my house and my office. They take great care of both places! The first time I used NJ Clean Maid Service was when I needed move-in and carpet cleaning. They did such a great job that I decided to hire them on weekly basis. My name is gerald vinci, i am the cousin of lynne paren and she is not capable of filling in this information so i am doing it for her. The apartment of lynn paren is very difficult because she has four parrots and three cats. Her pets are her life line. She is very ill. The ladies who were sent to clean were excellent and lyyn paren would like to use your services again in the near future. Cleaned the floors, Baseboards, and Furniture in the living room, Bedrooms and Kitchen. They're wonderful. They are very accommodating and do a great job. I've used (3) other cleaning services and this company is by far the best. When you come home everything is spotlessly clean. The women are very pleasant and nice. They are very mindful of my special instructions. They are also very environmentally conscious. In tact, people in my building who visit my apartment have given me compliments and decided to hire this company. I hired this company to clean my house once a month. Each week two very energetic, hardworking ladies arrive at the predetermined time (between 8:30 and 9 A.M.) They thoroughly clean our townhouse. They do the rooms I have requested which include kitchen, eating area, living room area (great room), formal dining room, basement family room, upstairs hall, 2 flights of carpeted stairs, and 4 full bathrooms. If they have extra time (the service usually takes about 2 hours) they often run a quick vacuum in the master bedroom or clean the laundry room. When they leave, the house is spotless. I have had 2 other cleaning services in our other home, and this service is far and away the best I have ever experienced. The owner is very responsive to schedule change requests and complaints (although I have only had one in 7 months.) That complaint concerned a worker who had not been here before who had a problem with the time required to complete the job. One phone call to Tom resolved the issue and everyone apologized for the mistake. I would highly recommend this service. NJ clean was great . They came out with little notice to get our house in shape before my daughters birthday party. The crew of three cleaned top-to-bottom leaving our house looking better than ever. The crew brought their own supplies, were on time, and called the night prior to confirm. Tom was very professional and responsive. We were very pleased with how quickly he responded and scheduled us in to accommodate our very tight timeframe. I would recommend him and his team and will be using his services again until the house sells. North Jersey Clean did an excellent job. Three women showed up and cleaned the entire house for a reasonable price. The house hasn't been this clean in months. I will definitely use them again. Three persons showed up and worked nonstop for three hours. Vacuumed carpets, washed floors and windows and inside of kitchen cabinets. Did a very thorough job. Would use them again. Went very well. Three smiling and efficient ladies came and did an excellent job of cleaning the house in about 3 hours. When they left, everything was spotless. They were punctual, professional and did a SUPER job cleaning my Dad's house. They even cleaned the wainscoting (walls) in the kitchen! We'd hire them again in heartbeat! It took about 2 1/2 hours to make my home go from scary to gleaming, and I must say, the ladies were cheerful and no-nonsense. They had a mission, and they took to it with a vengeance. They were kind to my children, who sometimes got in their way asking lots of questions. They were pleasant yet focused on their task. Tom, the owner, was quick to call and arrange a convenient date and timed, and was present to check that the work was done to my satisfaction upon completion. Very professional and quite nice. I would definitely hire them again! I had 3 ladies arrive with their arsenal of cleaning supplies to clean my very dirty and cluttered 3 bedroom, 2 bath apartment. They came in and set to work right away. Wiped all surfaces, scrubbed bathrooms until they were sparkling, swept and mopped floors, and I don't know what they did in my kids' bedroom or in the kitchen, but it was like they waved a magic wand and made the mess disappear! Three wonderful women appeared to perform a total of 6 hours work. They were great, worked tirelessly to make sure my home was clean. I had been disabled by severe pain in my right hip for 6 weeks previously, and had to have a hip replacement. They were diligent in their duties, and I'm thoroughly pleased with their work. I have had my house cleaned in the past through a different provider and after this experience I have to say that my house has never been so cleaned. They brought their own cleaning products, supplies and a very powerful vacuum. They cleaned every corner of the house. They really know what they are doing, don't waste time and look at every detail. My house not only smelled clean but was super clean. The 2 ladies who came were very nice, respectful and caring. They moved the furniture to clean and left it right where it was. No mess at all. I have only good things to say. Highly recommended. Will definitely hire them again. 2 ladies cleaned the house and left it impeccable. They cleaned 3 bedrooms, 1 and 1/2 bathrooms, living room, dining room, kitchen, sunroom, all the wood furniture, wood floors, inside windows and rugs. FYI: The deal is 1 lady to clean for 4 hours or 2 ladies for 2 hours. The price is right for a high quality service. The did a great job. Scheduling was a bit rough at first, but it was totally my fault as I thought they were another service provider for another house I had requested Basement cleaning services for. They were thorough, respectful of our space, efficient and professional. The went above and beyond by accommodating and early 8:30am start on Christmas Eve. Cleaned 2 Bathrooms, Living Room, Dining Room Plus Kitchen Family room. The cleaning team arrived on time, made a walk through of what needs to be done and started cleaning. They swept and mopped the floors, wiped the walls, cleaned the windows, wiped the blinds. They cleaned the bathroom, cleaned the toilet and the bathtub, wipe and cleaned the shower walls, the vanity mirror, swept and mopped the floor. They cleaned the outside and inside of the refrigerator, microwave oven and oven. I passed my checkout walk through with my landlord with flying colors. I would highly recommend them to other members of the Angie's list in need of house cleaning. The provider performed a moving out cleaning service, to include a detailed cleaning of the refrigerator and oven. Excellent. Tom is a great listener and very responsive to my questions and always willing to accommodate the needs that best fit my home and my family. They did skimp! They moved items so they could use a great vacuum. They also left no surface untouched, even cleaning the inside of the fridge! Fantastic! They cleaned my 4 bedroom/3.5 bath house. They always show up on time and they do a very thorough job with 2 or 3 women doing the cleaning. I have been unable to clean my house the way I like it due to working 7 days/wk. With 5 people at home and three pets, I want it CLEAN. The two ladies, Teresa and another lady (can't remember her name) that were sent and did a fabulous job. They arrived 10 mins earlier (which is great). They were instructed on what needed to be done and they worked every minute until they were walking out the door. I could not be happier. I have booked for ongoing cleaning every 4 wks. I would recommend to anyone.